The Caribbean is an island-lovers paradise. Dozens of island nations, autonomous regions and protectorates litter the warm sea. But the real highlight of this tropical archipelago is Barbados. Apart from an enviable laid-back culture and funky music, there are several luxurious beachfront villas in Barbados. Just picture opening your eyes in the warm Caribbean air to light sounds of waves lapping against the beach. You can have this and more in Barbados. Here’s a mini-guide discussing everything a tourist needs to know about this wonderland. 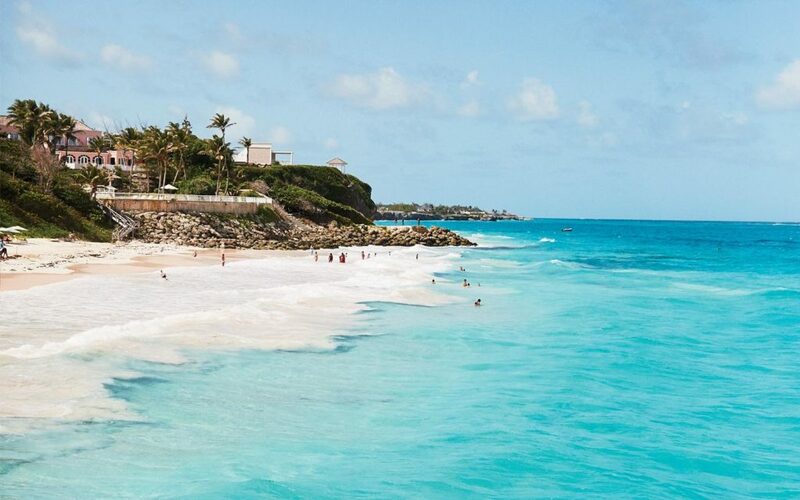 Why should you visit Barbados? Barbados is among the most diverse regions in the Caribbean. Beaches surround the coastline covered in soft white sand. Head further inland to mountains where you’ll have a handful of hiking opportunities and rugged landscapes. Throw in a distinct flair with British-style manicured gardens, estates and colourful tropical flowers decorating the streets. Over one million visitors travel to Barbados annually. Almost all instantly fall in love with the tourist destination. Hosting a diverse range of travellers from those on ultra-luxurious retreats to the more budget-conscious visitor, Barbados caters to everyone. Whether you want to swim in the sea or enjoy Bridgetown’s fine dining options, you’re sure to experience it here. And as a bonus, Barbados is one of the safest islands in the Caribbean. Before you start to think about which part of Barbados to stay in, first consider the type of vacation you’re looking for. Do you want an exclusive villa on the coast or to stay in an all-inclusive five-star resort? If you’re travelling on a tighter budget, you should consider the smaller guesthouses and hostels littering capital city Bridgetown. Those willing to splurge will instantly fall in love with Barbados’s eastern and southern coast. Dozens of vacation rentals ranging from overwater bungalows to multi-bedroom villas allure for upscale visitors. But while this exclusivity is an advantage, it does mean you’ll need your own transport. And getting to and from the town for restaurants and nightlife require more effort. The more budget-friendly options can be found in and around Bridgetown. What are the best things to do in Barbados? Almost every visitor to this exotic island nation will spend some time on the beaches. Barbados has several kilometres of shoreline expanding around the island’s perimeter. Some are more popular featuring a healthy mix of locals and tourists while others cater mostly towards visitors. Do your research before choosing a beach to spend the day. Bring a towel and make the most of the warm and clean water. Just remember to use plenty of sunscreen – the Caribbean sun is both hot and unforgiving. And nothing can ruin a holiday quite as much as getting sunburn on the very first day! Marine-lovers can check out Folkestone Marine Park. The protected area features dozens of snorkelling and diving spots. Snorkelers can join a tour which takes them to the best places. Expect hundreds of fish of all shapes and sizes swimming just below the surface and through the vibrant coral reefs. PADI-certified divers can fully appreciate the underwater wonderland and take the opportunity to swim to one of the many shipwrecks. Tours often last a few hours and all equipment and transport will be included in the final price. One of Barbados’s characteristics that sets it apart from the rest of the Caribbean is its distinct British heritage. This can be seen in some of the buildings, gardens and plantations. You should head to St Nicholas Abbey, Sunbury Plantation and the various estates and mansions. Either join a tour group or rent your own car and have a private trip to appreciate the island’s colonial legacy. While Barbados is relatively safe, attacks against tourists can happen. You should use your common sense and not let your guard down. The easiest way to do this is by avoiding dark areas, leaving the expensive jewellery back at home and be careful on secluded beaches. The vast majority of tourists face no problems whatsoever, but it doesn’t hurt to be careful. Getting around the island can be both an expensive and time-consuming task. Visitors essentially have two options: Either join a tour group or rent your own car. Both have their advantages and disadvantages. If you want a whirlwind tour of Barbados, join a tour. Guides will take you to the best attractions and provide a running commentary enriching the experience. Guides can take you to beaches, colonial architecture and along hiking trails to vantage points and waterfalls. On the other hand, those who want flexibility should rent a car. You can drive around the island in a day and stop wherever you want for photographs or explore the more exciting attractions. Just be aware that the driving standards might not be at the same level as back home. Roads tend to have potholes and locals drive more erratically. However, with a little caution and by driving slowly, you’re unlikely to face any problems. Those who rent a remote vacation rental will need a car for convenient travel. Barbados is a favourite in the Caribbean attracting a diverse range of tourists. If you want the ultimate luxury, get a rental along the eastern or southern coast. Or head to Bridgetown for more budget-friendly prices. Considering joining a tour to see the best of the island or get a car for flexibility. Use common sense and take safety precautions and you, like the millions before, will fall in love in Barbados.